Sir Gordon is one of the founders of the Hopewell group and is the Chairman of Hopewell Holdings Ltd and Hopewell Highway Infrastructure Ltd, both companies are listed on the Hong Kong Stock Exchange. Hopewell’s major businesses include PRC infrastructure, property letting, hotel operation and property construction. Sir Gordon graduated from Princeton University with a Bachelor of Science degree in Engineering. Sir Gordon received Honorary Doctorate Degrees from Hong Kong Polytechnic University, University of Strathclyde UK and University of Edinburgh UK. 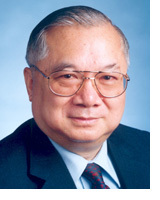 Sir Gordon’s awards and honours include: Gold Bauhinia Star by HKSAR (2004); Leader of the Year in the Business/Finance category by the Sing Tao Daily/The Standard (2003); Knight Commander of the Order of St. Michael and St. George for Services to British Exports by the Queen of England (1997); Industry All-Star by Independent Energy USA (1996); and International CEO of the Year by George Washington University (1996). Sir personifies the driving ambition behind East Asia’s rapid economic rise in the latter part of the 20th century and is a major force in Asian infrastructure. He is lauded as a visionary and a builder of power plants and superhighways that he is known by the media as “Asia’s Mr. Fix-It”. Also, dubbed as “the man who turned the lights on “ by former Philippines President Fidel Ramos.